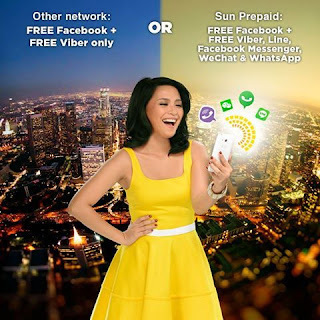 You want to register Sun Cellular unlimited text promo with free access to social media app? Good news to all as they now give Free Facebook every time you subscribe to their TU promos plus enjoy nonstop chat of your choice (**Viber, WeChat, LINE, FB Messenger, and WhatsApp). You’re also given free limited texts to all networks and voice calls for Sun, Smart and TNT (Talk N Text). Load your prepaid account now and register to any of the promo using the respective keyword or code provided below. For up to 30 days unlimited text promo, check out Sun TU200. Looking for call and texts? Check out the Sun Cellular Call and Text Promo.